City life can be pretty demanding. The seemingly endless flow of tasks and responsibilities can pile up, leaving you feeling stressed and exhausted. No doubt, people in your life have noticed this and offered their own personal remedy—many of which surely only add to the stress. (Who actually likes sauna yoga?) But as one Buddhist monk explains, even in a megacity like Tokyo, harmony can be as easy as buying a cup of coffee—not to mention, free. Dressed in his monastic robe, Dr. Kerzin tells Metropolis that making meditation a part of your life, while daunting at first, really comes down to priority. “A lot of people might like to go to Starbucks to start their day,” Dr. Kerzin says. “They do it because they like it—they spend the five dollars, because they like it. Somehow they feel that it helps them. 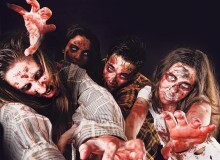 It wakes [them] up and allows them to face the day. So what we begin to understand is that meditation actually is healthier, and it’s also free.” Meditation can require nothing more than downloading a mobile app—although Dr. Kerzin recommends attending a few guided meditation sessions before doing this. Meditation has become misunderstood in recent years, being regarded as a purely religious or quasi-religious practice intended for transcendence. According to Dr. Kerzin, the spiritual benefits from meditation are just one aspect. For instance, studies have shown “that with regular meditation, the default level, or the base line of cortisone level is lower, suggesting less stress.” Similar studies “have proven that the immune system is strengthened through regular meditation,” he says. Meditation has also been proven to enhance our ability to think and even create. A former medical academic, Dr. Kerzin was the subject of a University of Wisconsin study on the neurological effects of meditation on the brain. The research found a notable increase in the effectiveness of the so-called executive function of the brain—which contributes to our ability to plan, reason, image, feel empathy—among long-term meditators. And the juice is certainly worth the squeeze. Regular meditators report less stress and burnout in their lives, as well as the ability to cope in a more peaceful and alert way. If you feel like it’s time to start meditating, you’re in luck. 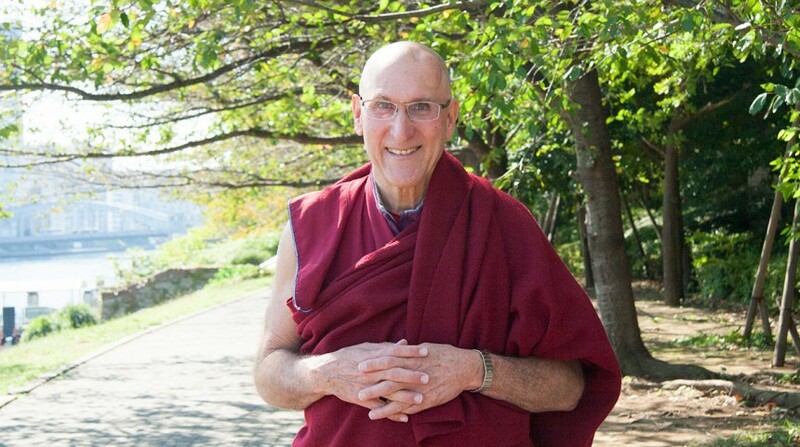 When he’s not making house calls from his pro-bono medical practice in Dharamsala, India, Dr. Kerzin travels the world speaking and training on meditation and health. 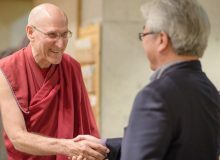 He has also been a regular fixture in Tokyo since 2007, and in 2010 he founded the non-profit, non-religious, health-based Human Values Institute. For those interested in either kick-starting or fine-tuning their meditation skills, Dr. Kerzin will be leading a four-day Mt. Fuji meditation retreat from November 12 to 15, around Lake Shōji. Activities will include different forms of meditation, group discussions, and lessons—some in silence.